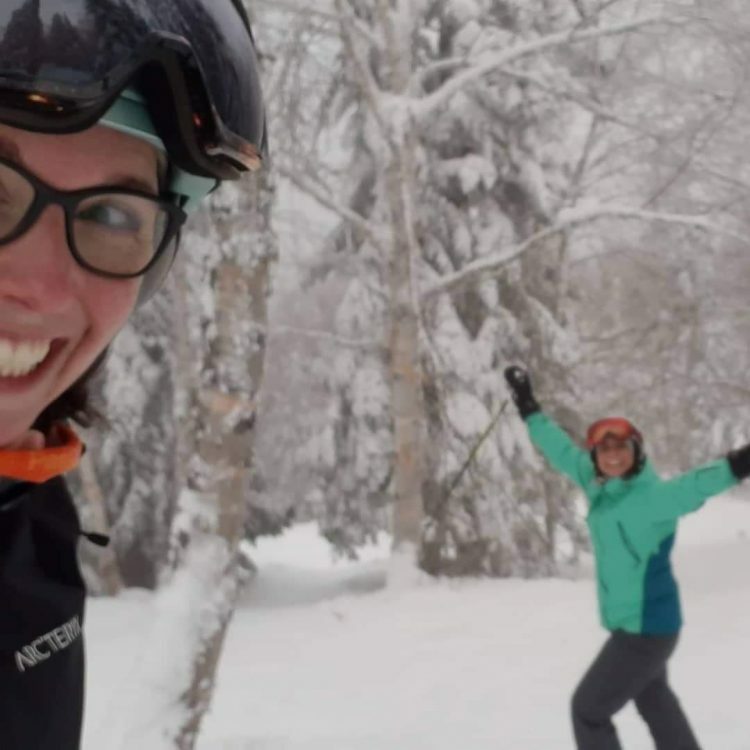 We arrived at the village of Petite-Rivière-Saint-Francois Friday evening so we could hit the slopes bright and early for opening on Saturday. We went straight to the Chalet de la Base to avoid the congestion that was happening at the summit. What a great way to start the day and season when lift tickets were discounted 33% off. As for the ski conditions, it’s hard to describe them in just one word. Sublime. Powder. Soft. Fluffy. Magical. They were simply amazing! 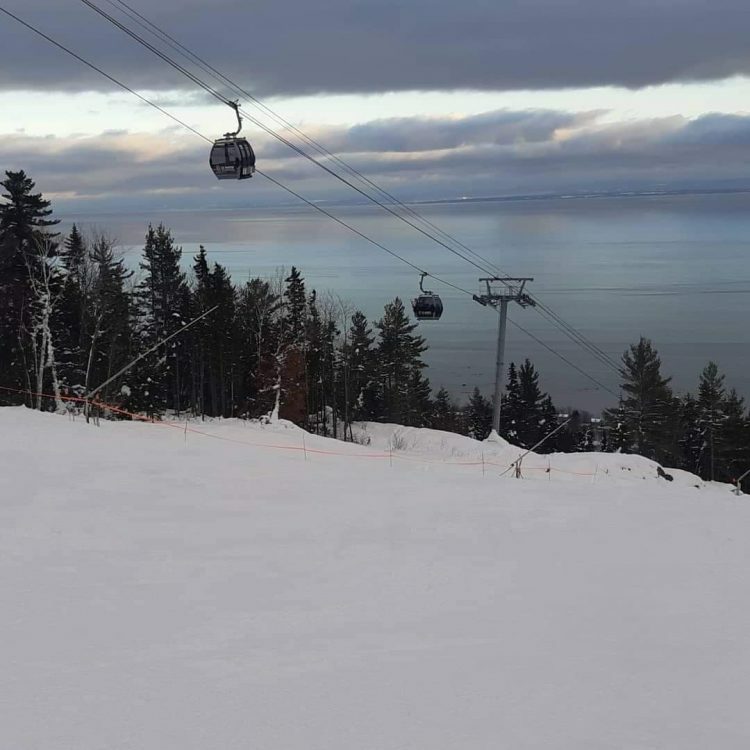 60% of the terrain was available with 33 open trails, 21 groomed and 12 with fresh snow. 2 chairlifts, the teleski and the gondola were open. With a base of 103cm of snow, it was the best ski day opener I’ve ever had! I’d even say we were simply privileged as the hill wasn’t jammed packed with riders and sometimes had the entire run all to ourselves. By far my favourite run was La Dominique Maltais. The scenary was magical looking at all the snow on the trees and all the fluffy snow made it a nice run that had my thighs burning by the time I was done and left us with epic smiles. We had nice weather as well. Some overcast but some sun at times as well. Got to enjoy the beautiful views of the St-Lawrence River and blue skies. The Pub du chalet du sommet Le Grand Duc was the place to be yesterday to experience the best après-ski ever. The band Qualité-Motel sure knows how to get the party going with people dancing even on the bar. Their virtuosity, versatility and unique style was the best way to end a perfect day. Winter has got to be my favourite season to play outside and go skiing!! Love sharing my passion with others and simply have fun. My goal this winter would be to discover new hills. Le Massif de Charlevoix : Sortie dans le secteur hors-piste à Ligori, poudreuse et soleil au rendez-vous!